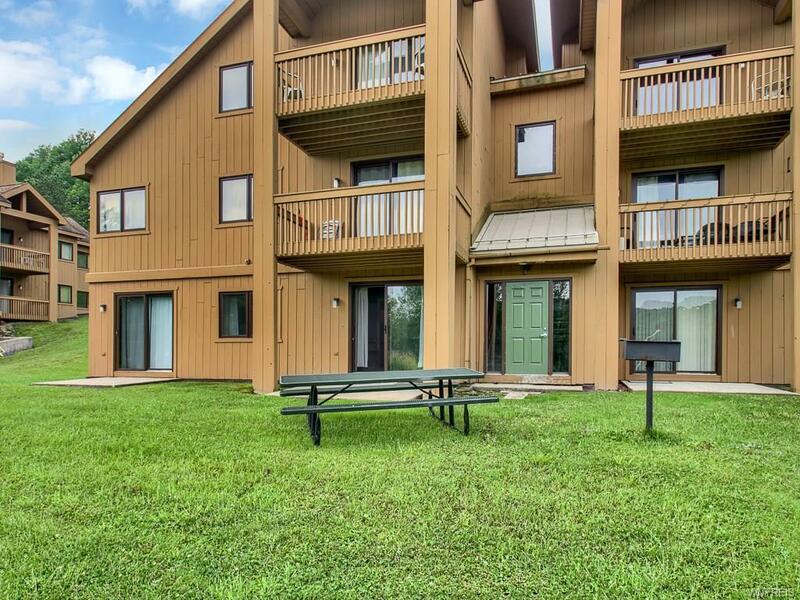 Ski in Ski out one bedroom condominium in Ellicottville, literally right on the ski slope. This one bedroom unit has a new gas fireplace and has been nicely outfitted - it's an excellent rental investment opportunity as well. 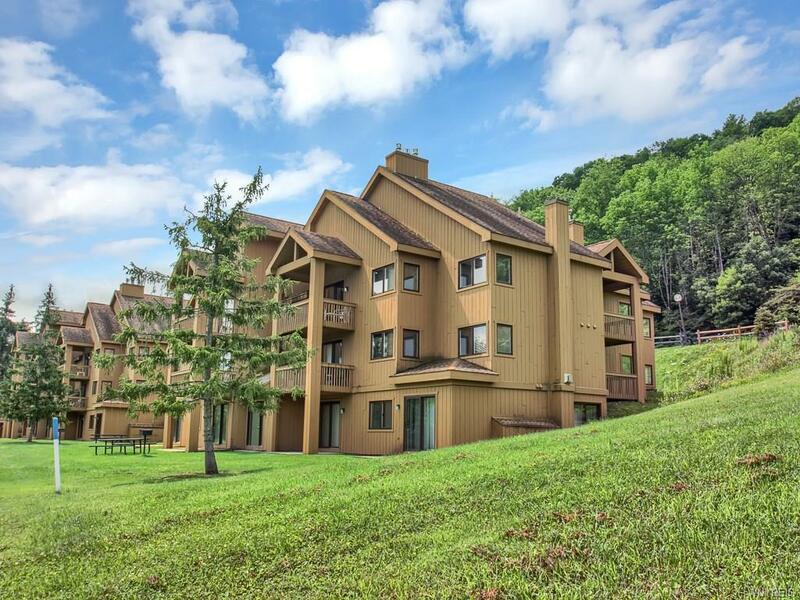 One of the more popular one bedroom floor plans with a generous entry, private bedroom, great room with sleeper sofa and great views of the ski slope and golf course. 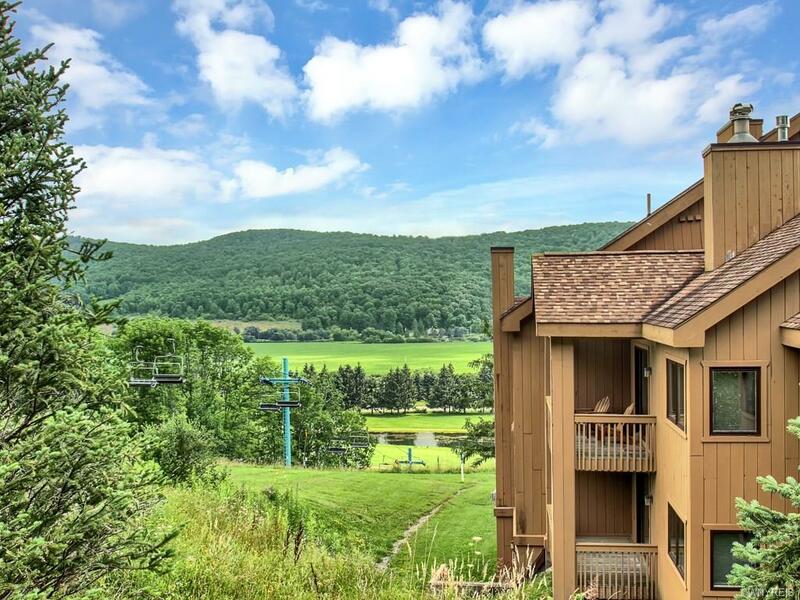 The development offers access to the Wall chairlift and ancillary slopes leading to the other slopes - summer brings access to hiking, biking and private tennis courts. 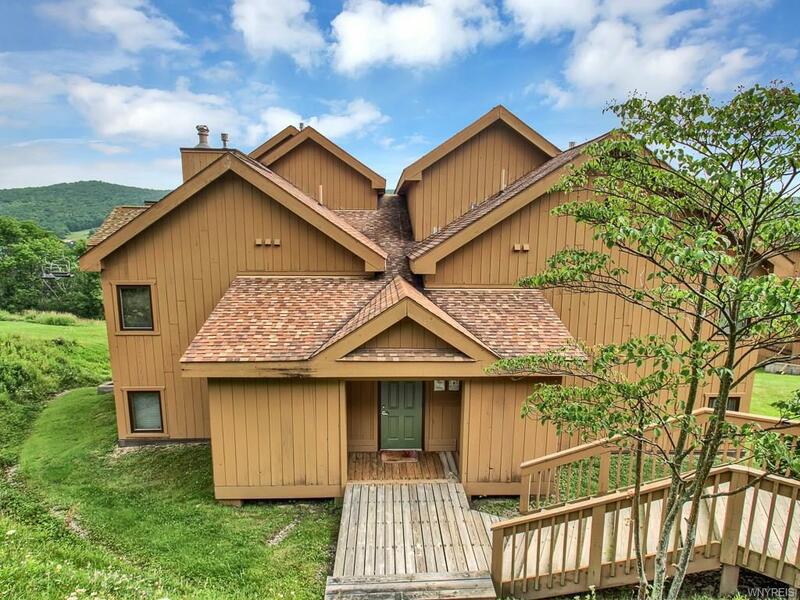 Vacation in the popular Ellicottville area without breaking the bank!